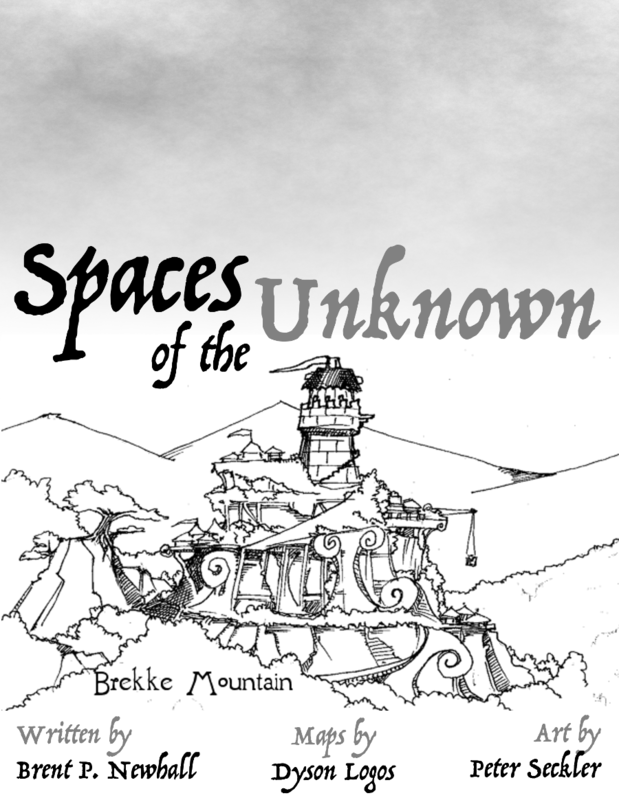 Spaces of the Unknown is a fantasy tabletop RPG, designed for play-by-post gaming on the internet. 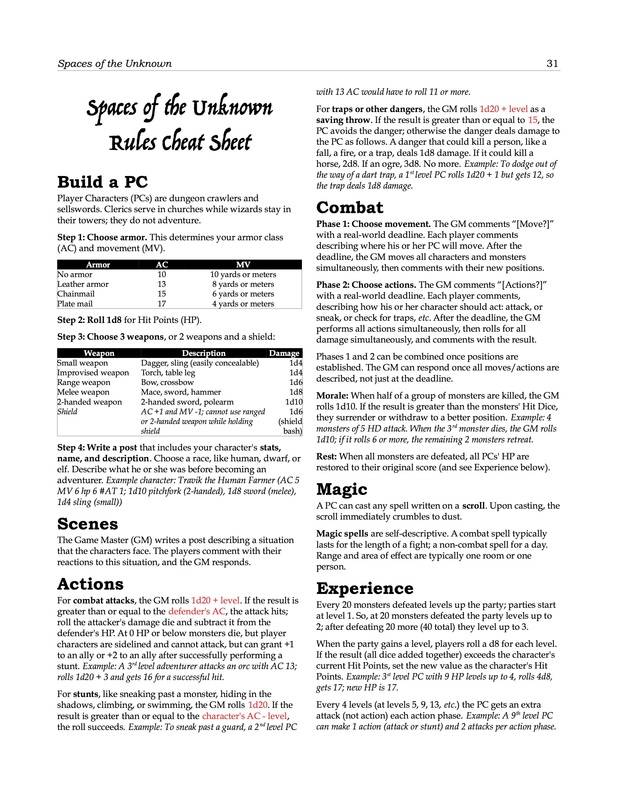 This is a dead simple, light, fantasy role-playing game designed to be played on the internet using the most awesome human invention: the written word. The players will explore abandoned and overrun ruins, and reclaim them for civilization. Don't need a new system? The game includes 6 lairs stocked with monsters, ready for old-school play. What makes it different than other RPGs? The GM rolls all dice during play. When a PC's Hit Points are reduced to 0 or less, the PC is not killed or knocked out; he or she is sidelined. A sidelined PC is still conscious and can grant bonuses to other PCs, but cannot attack for the rest of the fight. The party levels up as a group, not PCs individually. Want to read the core rules right now? Here you go! I'd love to see more material for this. ... and this is the obligatory "will this be available in print?" question. Dieses Produkt wurde am August 01, 2016 in unseren Katalog aufgenommen.